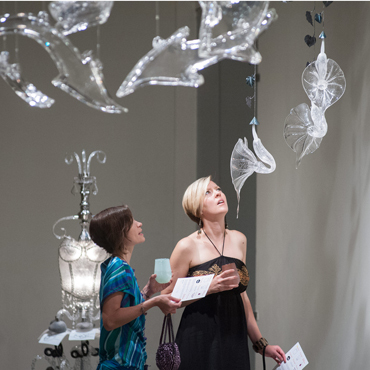 Free Every Day - We open our doors to the community for free seven days a week to experience contemporary glass art. Uniqueness – PGC is the only public access organization dedicated to glass art in the region. Fun & Memorable - PGC strives to offer a one-of-a-kind memorable experience for everyone who walks in our doors. Excellent & Accessible Instruction – PGC provides opportunities for people of all ages and abilities try glass making and has a talented group of skilled instructors who make the process enjoyable and fun. Generous donors like you light the flame of passion in our students. Did you know? Many employers match employee gifts! Check with your workplace to see if they have a Matching Gift Program, and you could double your donation to Pittsburgh Glass Center. Donate to Pittsburgh Glass Center with every Amazon purchase through AmazonSmile! Select PGC as your charity of choice when you shop at smile.amazon.com for the same prices and Amazon will donate 0.5% to PGC. Volunteers are vital to PGC’s daily operations. 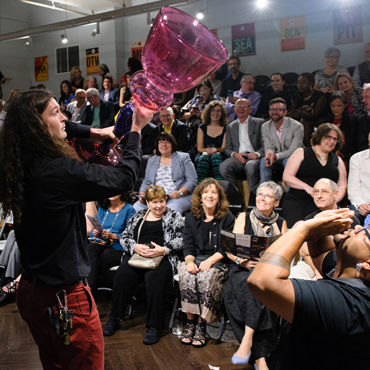 Whether you are greeting guests, helping with special events, or leading group tours, get closer to the world of glass and PGC’s amazing community of glass artists by volunteering your time with us! It’s a wonderful, immersive experience and, if you are a college student, great for your resume, too! 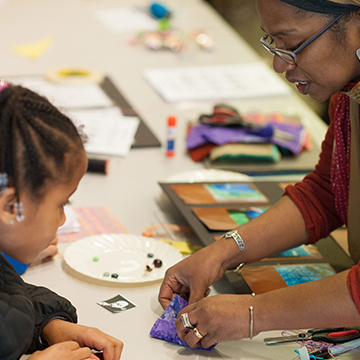 There's always something happening at Pittsburgh Glass Center from free family-friendly open houses to glassblowing demonstrations, lectures, exhibition openings and more. Pittsburgh Glass Center is pleased to acknowledge the following members of our donor family who have made gifts to PGC within the last year. If we have not listed you correctly, please call 412-365-2145. THANK YOU! Pittsburgh Glass Center is also supported by many corporations and foundations.